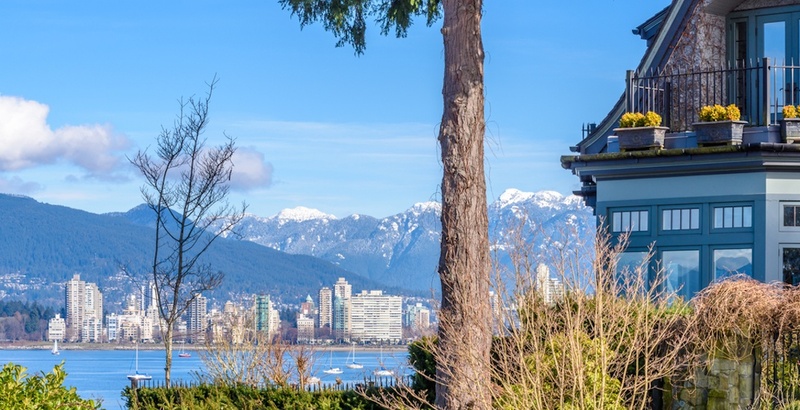 After consecutive year-over-year high growth rates in the value of Metro Vancouver’s homes, many property values in the region have dropped, showing signs of moderation for the first time in a decade. BC Assessment’s 2019 notifications to homeowners across the province will begin arriving in mailboxes over the coming days, but the new assessments have already been published online, and are searchable. 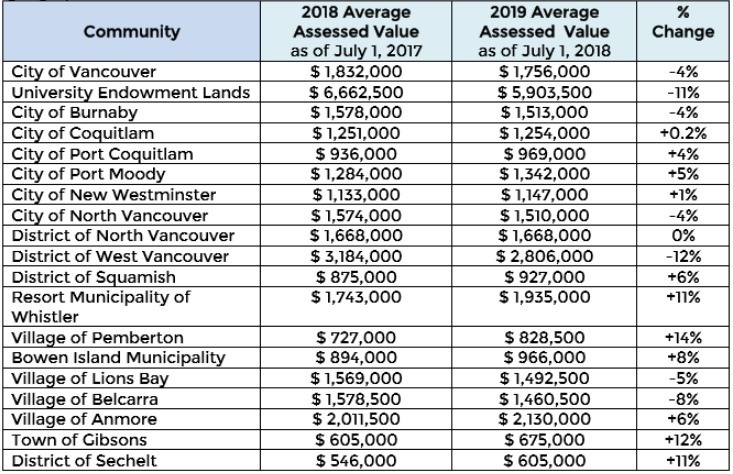 Average values for detached single-family detached homes in Metro Vancouver fell by as much as the double digits in the latest valuation, compared to the previous year. However, condominiums overall saw an uptick of as much as 25%. When it comes to other property types, commercial and industrial properties saw valuation increases of as much as 45% and 55%, respectively, with the latter seeing significant gains due to a regional shortage in industrial space. Elsewhere in the province, single-family detached homes saw increases of as much as 15%, including the Fraser Valley, Vancouver Island, and the Okanagan. Value increases were nearly as much as 20% in many parts of central and northern Vancouver Island. Kitimat, buoyed by the $40-billion LNG Canada project, saw home values rise by over 20%.